Do it yourself ... - 2017 - Manuais Informática - IES San Clemente. 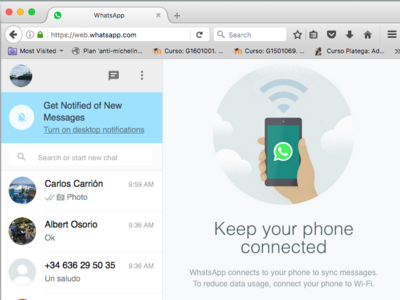 5 Task 5: Using WhatsApp in more than a computer ? 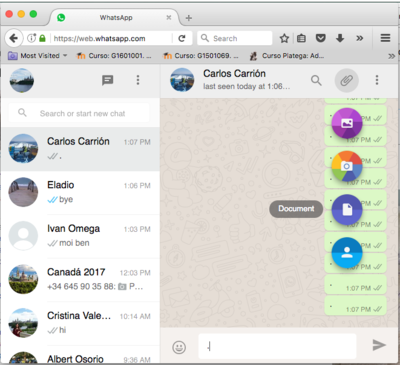 In this activity you'll accomplish several tasks which will enable you to use WhatsApp on the computer in any part of the world. Work in pairs (or groups) ... with a little help from your friends. Choose one person from each team to use their mobile device with WhatsApp. Make sure you have the phone number of one person from the other team in your contacts!! Exchange some messages with this person using the mobile. You are not going to install anything on the computer. You only need a browser (Firefox, Chrome, Internet Explorer, Safari, etc). Now it's time to prepare your mobile device. On your phone follow the instructions that you have in the website where you have the QR Code. 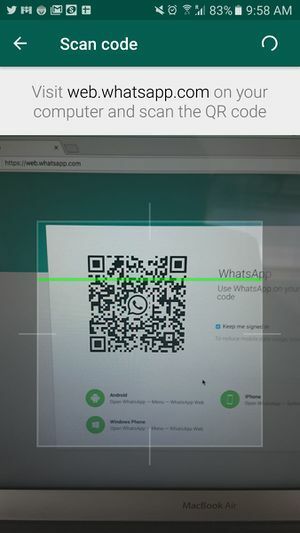 Scan the QR code on the browser. 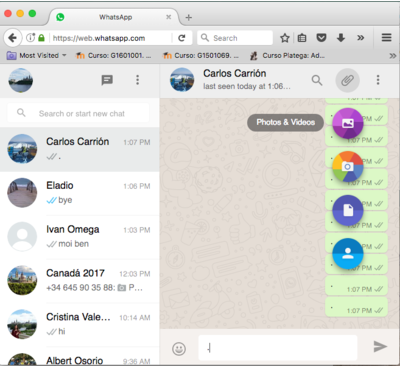 Et voilà .... WhatsApp is on your computer !!!! Using the computer exchange some messages with the other team. 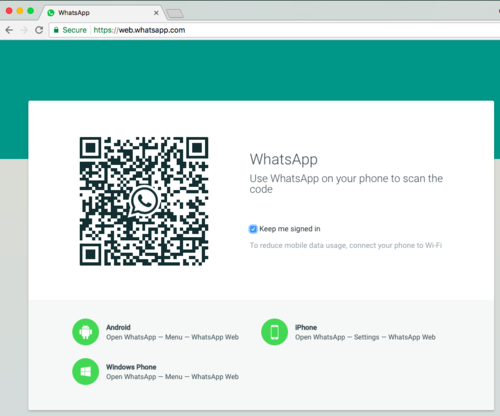 Check out what happens with WhatsApp on your mobile device. 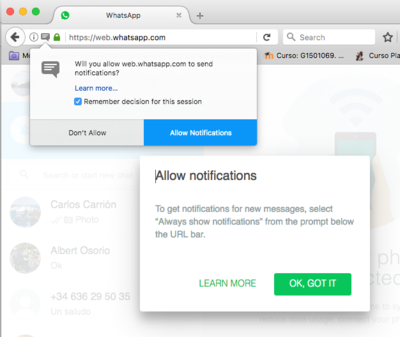 Click on the notification instruction if you want to be notified when messages comes in. What happens to the other team's computer? 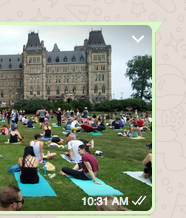 Choose a contact you have exchanged several pics with. On the left or right side of every pic there is a curved arrow. Click on the arrow of any image. Send the image to the Even-Team. 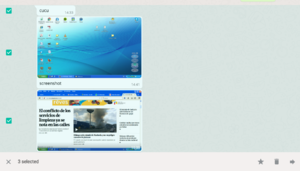 When you hover (pass the mouse) over a message (text, pic, video and document) an arrow appears in the right-up-corner. Click that arrow on any message. Have a look at the different options. 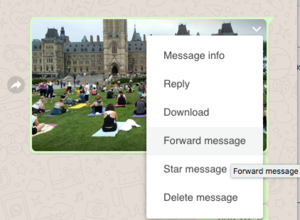 Select the "Forward Message" option. Now on the left side of every message you have a box that allows you to select more messages. 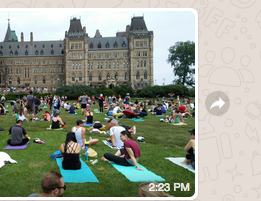 Select two pics and two texts. Click the arrow on the bottom-right corner. Send them to the Odd-Team. 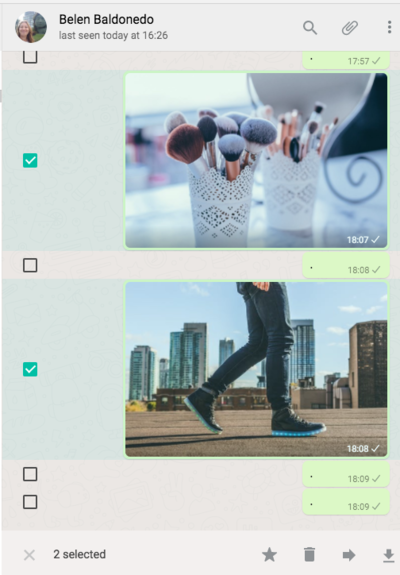 Task 5: Using WhatsApp in more than a computer ? The person who has connected the Whatsapp in the computer in each team should switch to the other team. In this case, as it is not your first computer, you should press the + button on the top-right corner. Scan the QR code. What happens to the first open session on the first computer? Discuss with your team mates. But in this case the receiver of all messages should be the teacher. The original teammate should explain to the new teammate what they did and send the messages to the teacher. After that, it is time for the new member to do the same with the original member and send the messages to the teacher. 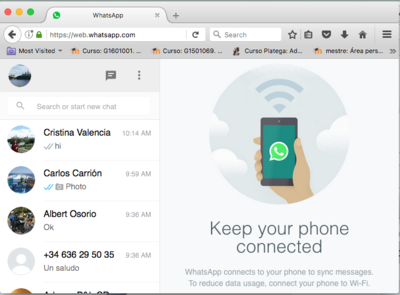 Close the browser where you are using WhatsApp. Does this initial image suggest something to you? You'll see all the computers where you have logged in. Or you can press the last button and and log out from all the computers ..
Now we are going to learn how to manage several pics and how to download them to the computer. 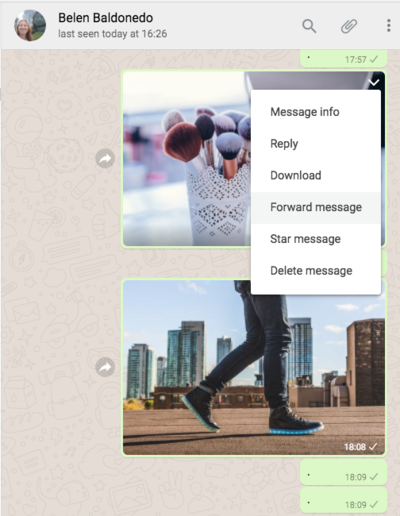 Go to an image that you have in a dialog with a contact on your Web Whatsapp, press the top-right corner arrow and select Download. 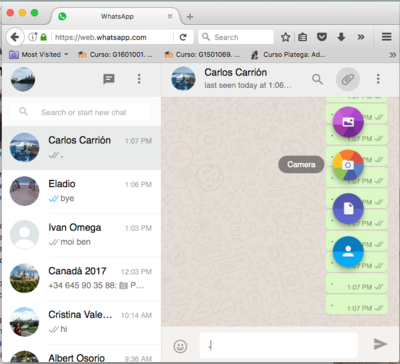 A very useful characteristic of using Web Whatsapp is the fact that you could download all the images of a chat. On a image press the right-top arrow and select "Forward message"
Now mark on the left box of those images that you want to download. Finally, press on the right-bottom arrow to download them to your computer. 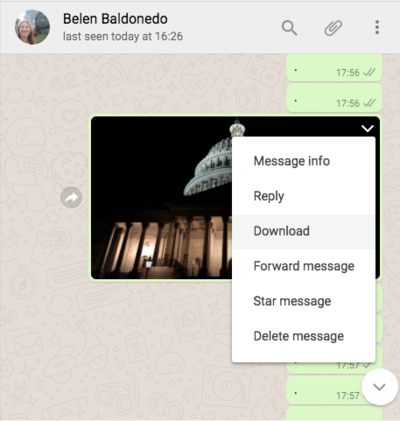 Another useful feature in Web Whatsapp is that you can send a bunch of pictures/videos stored in your computer. Press in the attach button on the right-top and then in "Photos & Videos" button. Go the folder where the files are and select the ones that you want to send. 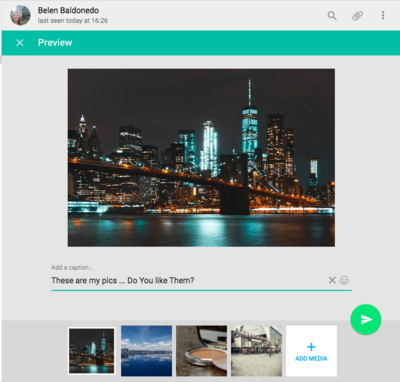 You will see a preview, and you can choose to remove some of them and write a comment about the pics. 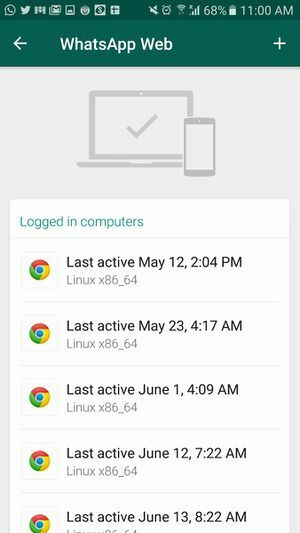 Could you check in your mobile device what happened? 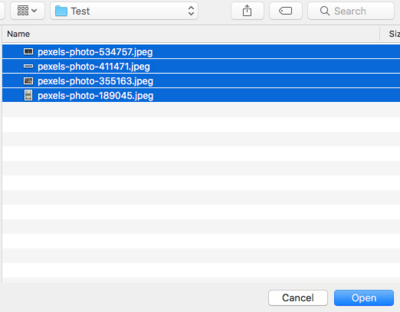 Open a folder with images in your computer. 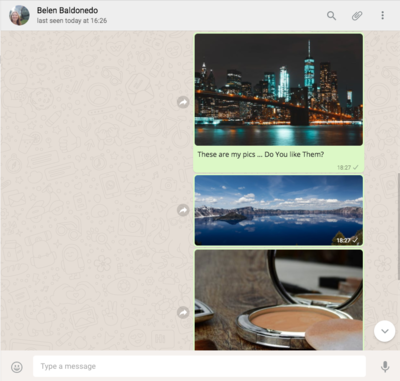 Drag & Drop some of those images over a chat in Web Whatsapp. In this case an image is worthing than a thousand words. Do it yourself. Remember to do it in a computer with a webcam. Create a text document on your computer (MS Word, LibreOffice, etc). It should start with the members' name. Send it to the teacher. When you finish your tasks please give us feedback by completing the following Exit Card. This Exit Card was created using one of the Google Drive applications: Google Forms. Esta página se editó por última vez el 20 ene 2018 a las 20:48.